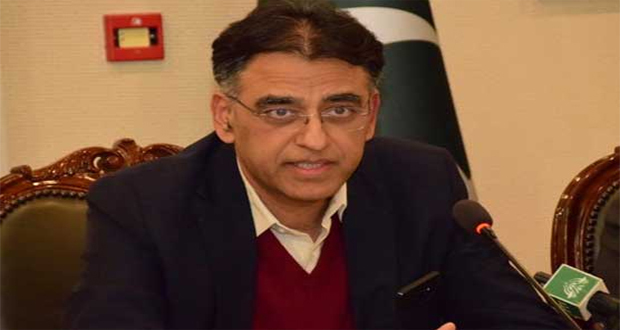 ISLAMABAD: Finance Minister Asad Umar on Friday said that the rumours regarding government’s recent negotiations with International Monetary Fund (IMF) and varying rate of the dollar should come to a stop. In his video-link address to the Pakistan Stock Exchange (PSX), Asad Umar stated that the exchange market should halt buying the US dollar. “For God’s sake stop spreading rumours regarding IMF negotiations and dollar rate, and stop wasting your finance by buying dollar”, maintained Asad Umar. Stressing that an economy structured on USD300 billion is insufficient to achieve financial goals, he said that the country will have to display pinnacle performance in order to come par with the International standards.